Thursday, September 6 – I didn’t take a picture of my outfit, but I will eventually. I wore a maternity maxi dress from SweetPea Maternity. Excuse the unedited picture. Lightroom isn’t work with me right now. 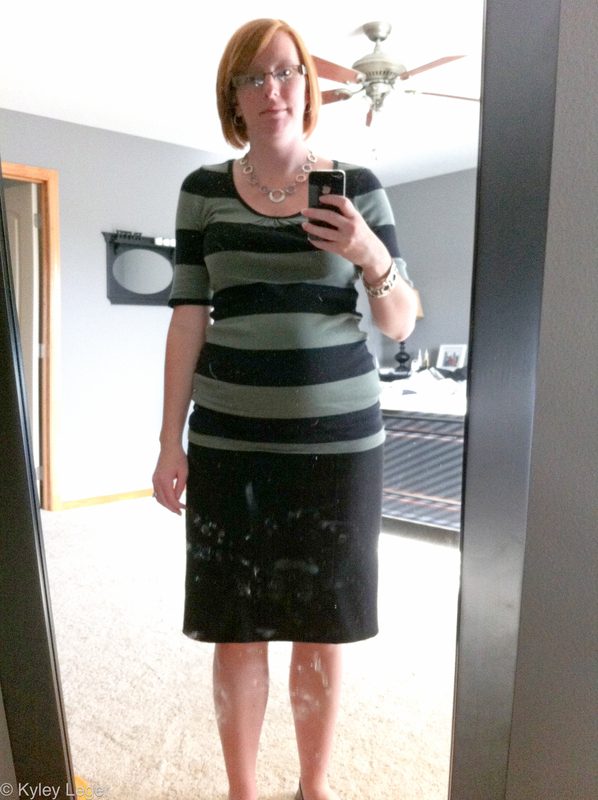 Monday, September 11 – no outfit pictures. 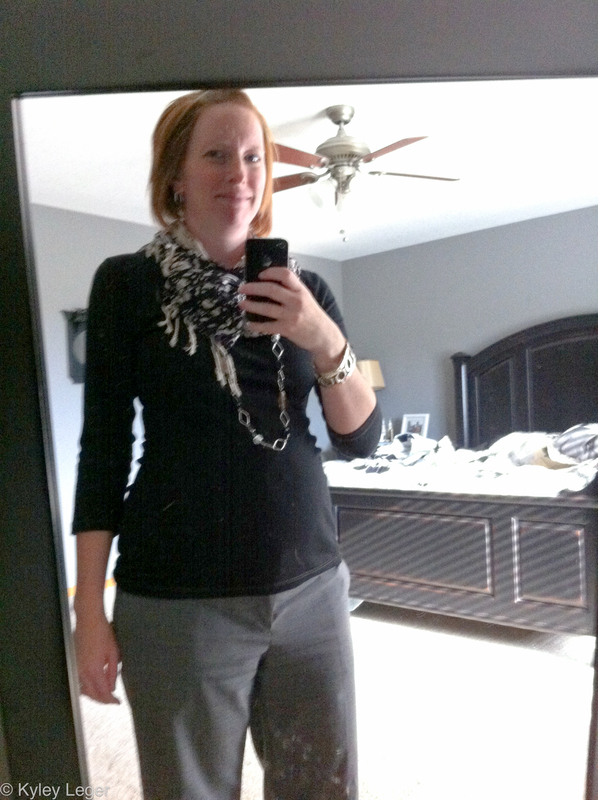 I wore a simple black dress from Gap with a black and white scarf. 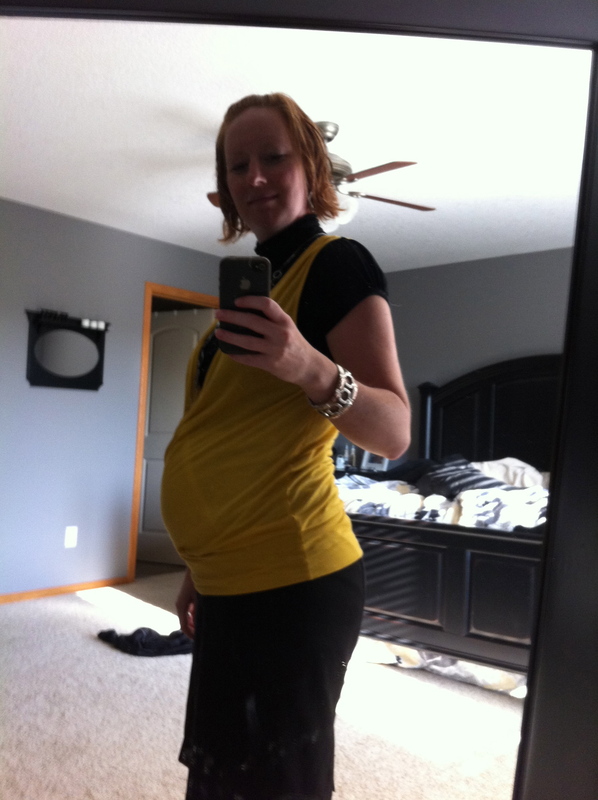 Tuesday, September 12 – This might become one of my staples for this pregnancy. The shirt is really long and I haven’t put it into my main work wardrobe because it’s fitted and fits weird over my pants. Basically it only works with a skirt. With a growing belly, I could definitely wear it with any of my pants too. Wednesday, September 13 – this was a lame outfit. I found clothes that fit and went to work. I did attempt to spruce it up a bit by adding a scarf and necklace, but it was by no means a great outfit. My favorite two outfits of this week were the maxi dress that I didn’t take a picture of and the skirt / top outfit on Monday. 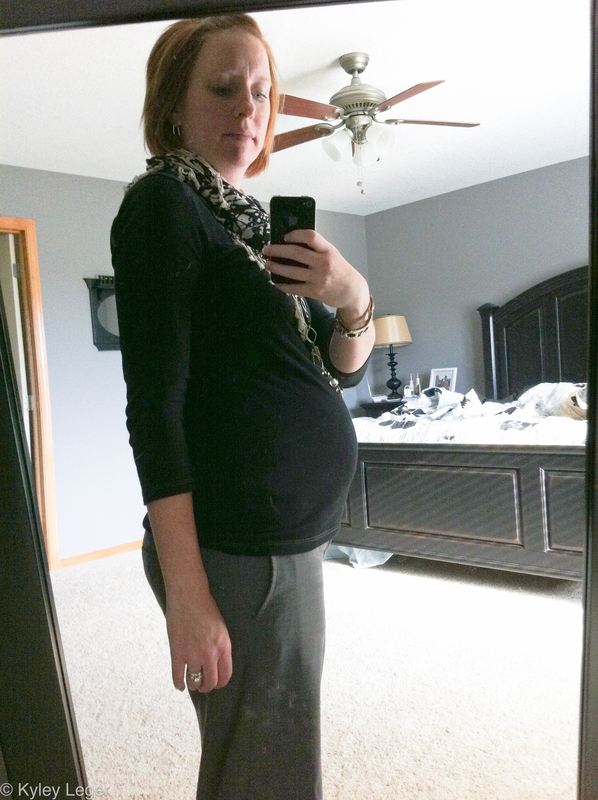 This entry was posted in Baby, Pregnancy, Second Trimester and tagged maternity clothes: the adventure, maternity monday, Operation maternity clothes, Second Trimester by Kyley Leger. Bookmark the permalink.